2018 Fractional Gold Krugerrand Proofs – Scarce Single Coins! In 2018, one year after the Gold Krugerrand celebrated its 50th anniversary, demand was still incredibly high for all things Krugerrand, including these Tenth-Ounce Gold Krugerrand Proofs. But with an incredibly limited mintage of just 2,500 pieces, only a fortunate few collectors are ever able to add one of these popular and coveted coins to their collections. Luckily for you, we’ve managed to secure these highly sought-after coins certified by the Numismatic Guaranty Corporation (NGC) as being in flawless Proof-70 Ultra Cameo (PF70UC) condition, a distinction that means your perfectly-graded proof will have ZERO imperfections – showing all features and fields exactly as the engraver and mint intended. Plus, each comes sealed in a protective display holder with a label personally signed by Tumi Tsehlo, Managing Director of the South African Mint. In addition, NGC has certified this Tenth-Ounce Gold Krugerrand Proof to be a First Releases (FR) coin, a designation that means your coin was received by NGC or an NGC-approved depository within the first 30 days of the coin’s release. Collectors seek out these coins because they are produced with new dies and considered to have sharper strikes and deeper mirrors than those that are struck later. Also, the population of coins labeled First Releases is only a fraction of the total mintage. Your Krugerrand will come sonically sealed in an acrylic holder with a black display core. 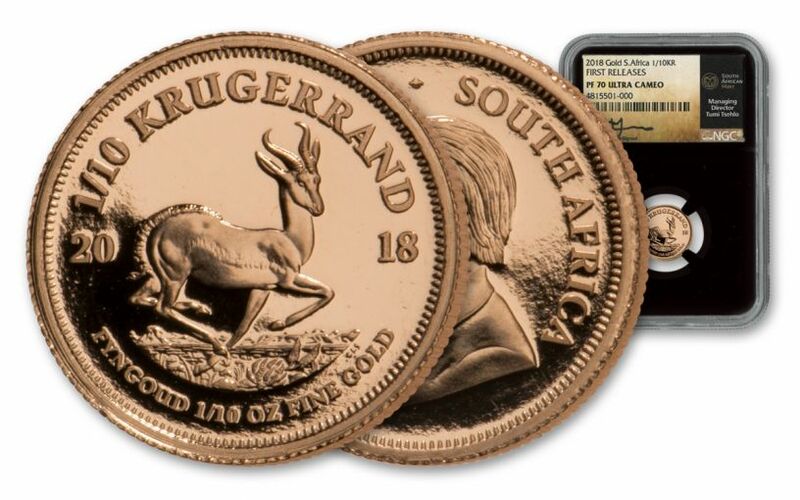 Struck in 91.7% (22 karat) gold, these South Africa legal-tender coins bear the same classic design as the original – the iconic Springbok antelope and President Paul Kruger, from whom the coins get their name. You’ll need to act fast to get one of these coins because we have fewer than 70 coins remaining in our vaults. Don’t miss out; click one to your cart today! FAMOUS KRUGERRAND DESIGN – South Africa’s famous Gold Krugerrand features the same iconic designs it has since it was introduced in 1967! STRUCK IN FINE GOLD – These 16.5 mm Krugerrands are struck in a tenth ounce of 91.7% gold. GRADED IN PERFECT PROOF CONDITION – Your 2018 South Africa Tenth-Ounce Gold Krugerrand has been graded by the Numismatic Guaranty Corporation (NGC) to be in flawless Proof-70 Ultra Cameo (PF70UC) condition. KEY FIRST RELEASES CERTIFICATION – NGC has graded your proof to be a First Releases (FR) coin, a designation that means your coin was received by NGC or an NGC-approved depository within the first 30 days of its release. Your Krugerrand will come sonically sealed in an acrylic holder with a black display core. 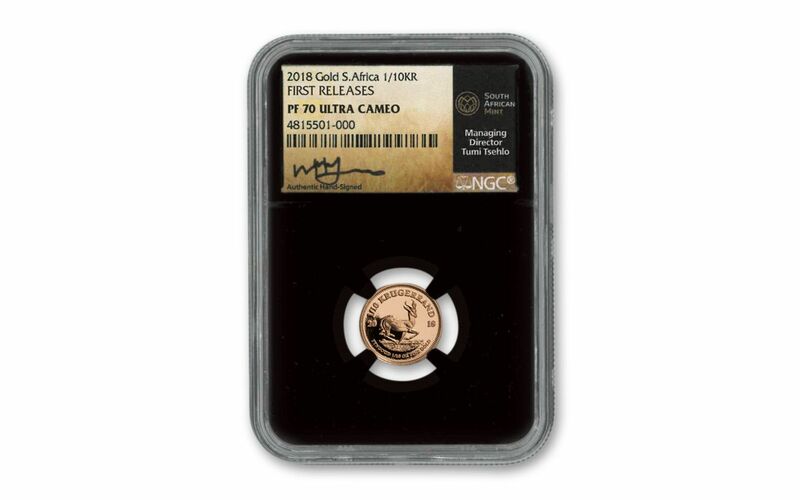 INCLUDES KEY MINT OFFICIAL’S SIGNATURE – Your 2018 South Africa Tenth-Ounce Gold Krugerrand comes sonically sealed in a protective display holder with a label personally signed by Tumi Tsehlo, Managing Director of the South African Mint. 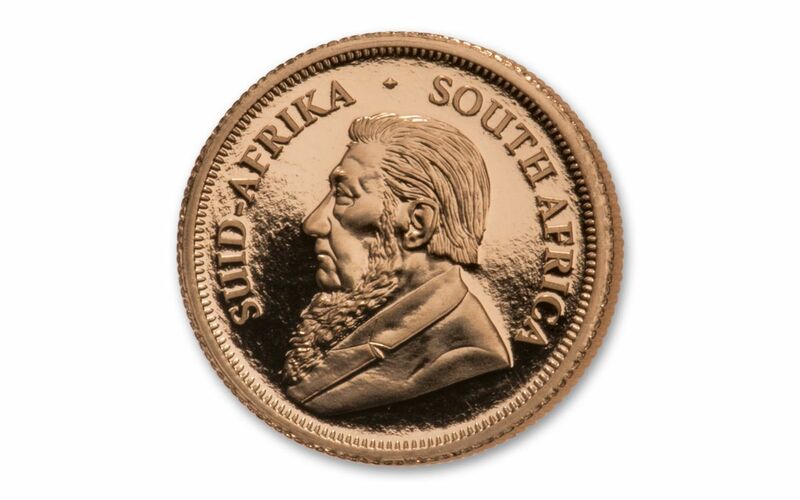 LOW LIMITED EDITION – The South African Mint struck just 2,500 Tenth-Ounce Gold Krugerrands Proofs in 2018, a number far too low for all the people in the world who would like to add one to their collection. Don't wait to claim this global phenomenon for your collection. 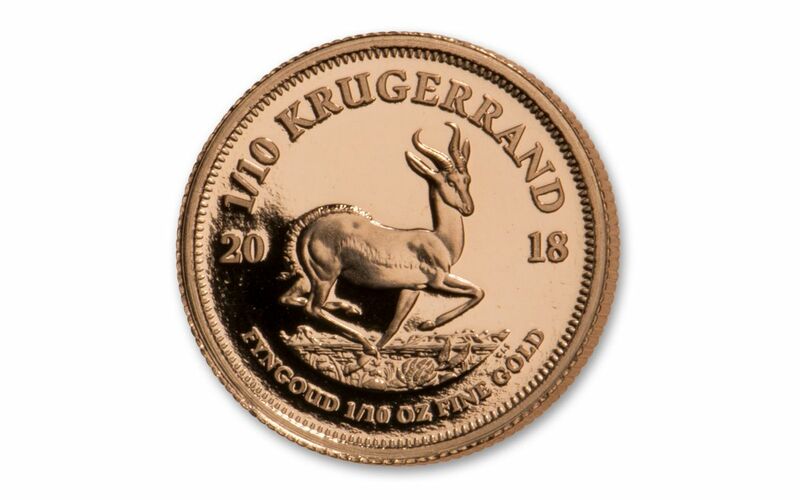 Bring the 2018 South Africa Tenth-Ounce Gold Krugerrand home to your collection now!